This is an extremely simple game to play. It can be played by kids of all ages. But best of all, my kids totally enjoyed it and they laughed themselves silly when we played it. Next, you will need bags for each of the items you’ve selected. 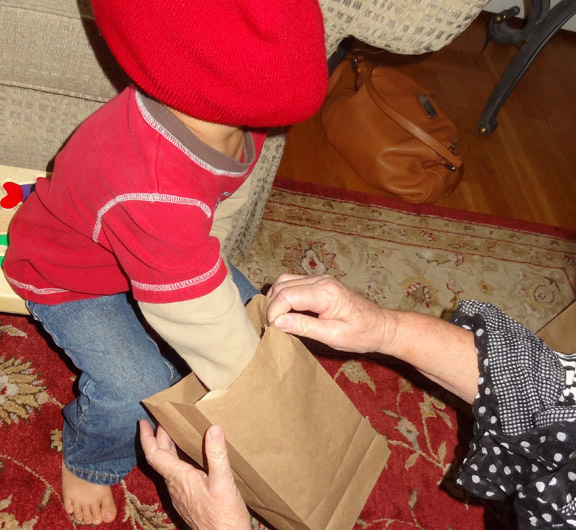 The bags must all the the same and should be opaque so kids cannot see the object inside. 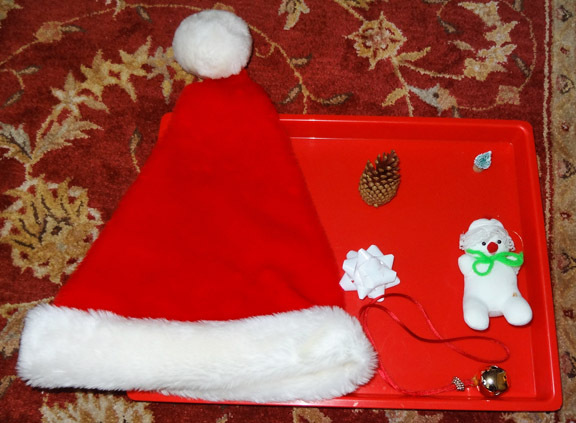 Place one Christmas object inside each bag. Blindfold your kids. 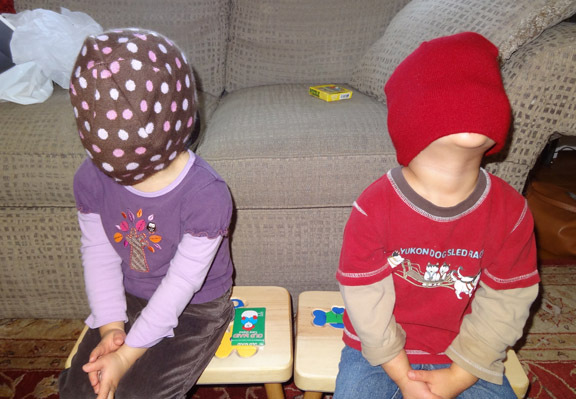 Mine like to wear their hats over their faces, which I admit works pretty well for keeping them blindfolded! One by one, present your child with a bag. Have him or her reach a hand inside to feel the object. The goal is for your children to guess what the object is without using their eyes. 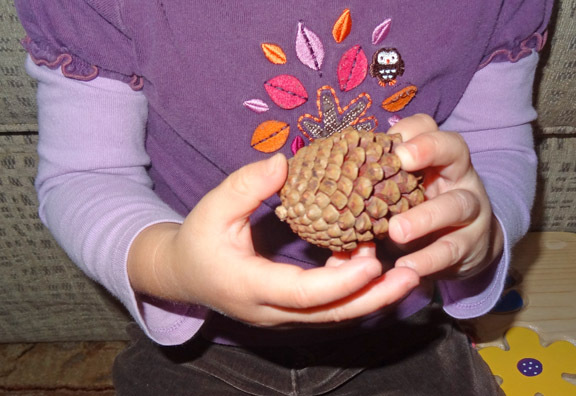 Encourage your children to use their sense of touch as well as their sense of hearing (e.g., bells) or sense of smell (e.g., pinecone) to help them identify the object. Love this. Very adaptable to many areas of preschool: shapes, fall, winter, nature. Thank you! It is indeed a very simple activity to set up and is definitely adaptable as you suggest. I hope your preschoolers have fun with it! Thank you. 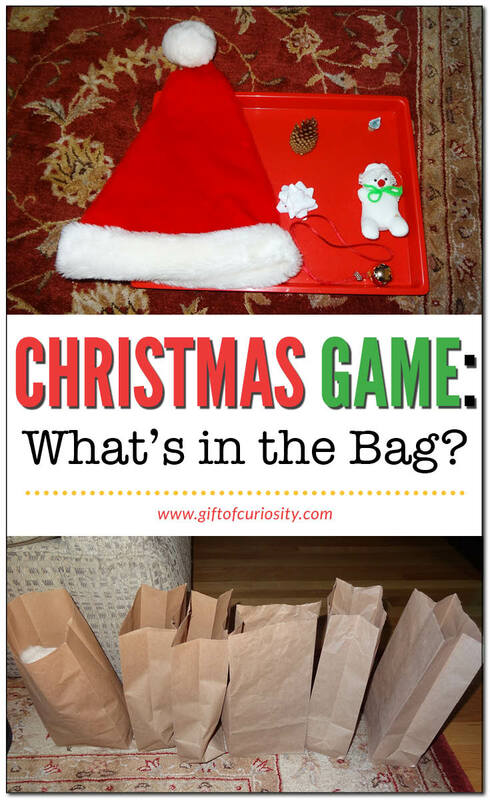 Fun game for grandma to use on Christmas.